an incremental part of the desired bending, until our truss components are formed. requires manufacturers to keep its machines serviced in accordance to a maintenance schedule. Every incoming raw material are also checked for their thickness, colour, tensile strength, flatness and surface appearance. product will also be rejected by our quality control division before delivery. unlike others who stretches the the design and loading capacity of a roof truss to its limits to minimise costing. that in reality they are never flat but rather built with a minimal fall so that water does not pool. 4. 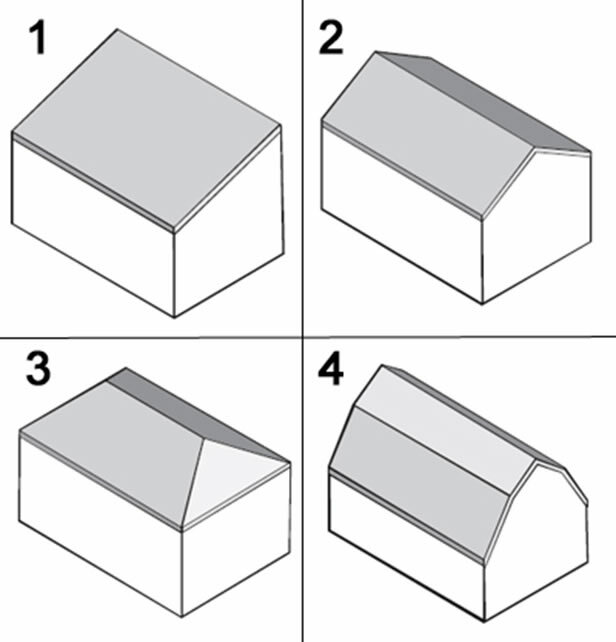 Mansard Roof A hipped or gabled roof in which each roof plane is doubly pitched. All truss designs by Fort Steel are endorsed by our Professional Engineer before submission to clients. There are many potential reasons contributing to truss failures. - Failure to provide sufficient trusses or adequate bracing during design will compromise the structural integrity of the roof truss structure. Overloading the trusses before permanent bracing or sheathing has been installed, like stacks of plywood placed on trusses, for example. Improper or inadequate connections to the supporting structure. Improper or unauthorized field changes made to trusses. Installing damaged, broken or improperly repaired trusses. It is important to note that trusses have very little lateral strength or resistance to lateral (side) loading due to its structural characteristics which is the primary reason trusses fail or collapse. Prior to trusses being properly secured, braced and sheathed, they are often subject to lateral loads which can cause failure or collapse of the truss system.